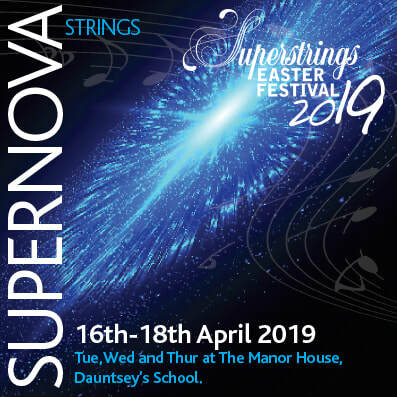 Join us in the Milky Way of Wiltshire on Planet Superstrings for a fun and creative three days playing great music at our Easter Course, 2019. Course members will explore music orbiting around space by composers ranging from Holst and Strauss through to Bowie and Sinatra. With our intergalactic theme, all students will play in chamber groups and have the opportunity to get involved in creating exciting art work, singing and other activities with our team of professional musicians and artists. Join our galaxy of string players for a memorable few days.